As a journalist, Deshpande had worked at The Daily, The Indian Express, The Economic Times, Business India TV, and the Business and Political Observer. In his individual capacity, ICICI executive director Ram Kumar, a well known figure in HR circles, has also written to the Tatas on the “disgraceful” manner in which Deshpande’s services had been terminated, and the “untold pressure and threat at Jamshedpur” in the weeks preceding his death. On the other hand, ICICI Bank, where Deshpande had worked earlier, has facilitated a job for his son Gaurav, who graduates in two weeks’ time. 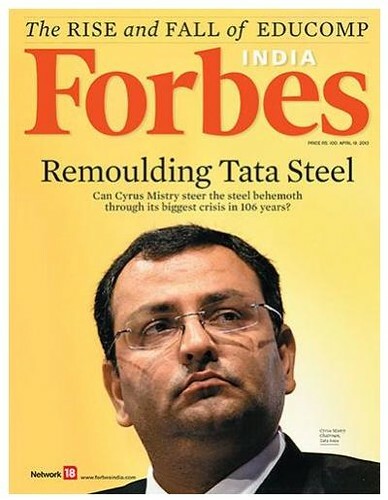 In April, a few months into his new assignment, Forbes India magazine ran a cover story “Remoulding Tata Steel”. The story is online here on http://forbesindia.com/article/boardroom/putting-the-shine-back-into-tata-steel/35049/0. Also read: Have the Tatas blacklisted Times of India again? Has media credibility suffered a body blow in 2G scam? The journalist who offered a Rs 2 crore bribe? WoW! Pressure is this profession goes right to the top and across boundaries and barriers! I would be really disappointed with the Tatas if they do not honourably resond to this letter by these reputed professionals. Now it is hard to rate the Tatas as business group high on ethics if this happens to its senior executive. What next, “damage control” and PR speak? Hats off to these journalists who put their names and reputations on line. I am not surprised that the organisation drove the gentleman to his grave.As Chief OF Pr and DGM at HMT, I was also traumatized and witch hunted for frivolous reasons and dismissed on false grounds.I took them to HC and cleared my name but they went on appeal again on false grounds and I lost the battle for after all I was an individual fighting against a behemoth organisation. I second austereseeker here. Kudos to the people who put in their names at the end of the letter! Lets wait and c how seriously tatas take this up. Have seen corporate and personal ethics degenerate in the once-revered Tata Group, during my almost two decade association with them. Wish they had an uncompromising leader like JRD. In Ratan Tata’s tenure corporate governance and ethics has been all-time low within the Group (various scams within the group, and the infamous Niira Radia scandal are testimony to this). Cyrus Mistry will find this the most challenging of his priorities as Chairman of Tata Sons – to return the Tata Group to its former glory, particularly of JRD’s time. Charu was a thorough professional and would not, as alleged, anything that his concious would not permit. RIP. Shocking news, Charu was a brilliant person, who inspired us. And to know such a reputed company did this to their head of Corp Comm. Knowing him for past eight years as a member of the society in which he lived, I can vouch for his ethics, honesty and love for family and fellow beings. He was a very positive person and respected life . They should find out what was going behind the curtain.It is obvious something has definitely happened to drive Mr.Charu Dutt to take his life ultimately. I grew up in a Tata township but realise now that the Tatas of today are not the Tatas of yore. As an earlier poster has mentioned, I think the downfall started with the advent of RT! It is sad that the Tatas have not lived up to their reputation. It is not too late to rectify things. Only TRUTH & TRUTH alone should prevail & they owe it to themselves, Charu, & all of us who had reposed faith in them. I am shocked to know this. I m surprised that such thing can happen in Tata Group company who claim morality as their supreme virtue. People are hoping that his soul may rest in peace. I wonder How it can rest in peace, after undergoing so much torture and trauma? This is the most unfortunate news for me in the recent times. Today I am ashamed of being a shareholder of Tata companies. I lost a friend, a mentor and a possible colleague (every time I met him we ended with a thought that we may work together someday), which is not possible anymore. Like the senior journalists who wrote to Tatas asking for justice, I am among many others who are distraught and demand a impartial investigation to check why Charu was threatened and what let to him to this unfortunate end. As a former Tata employee, I really do not know how to react. About two decades ago I would have felt a sense of shock after reading this. But during that period, I have seen similar things happening (even at levels in the hierarchy one would least expect to wield any influence) that I can believe almost anything about a business house that I still hold in esteem. Isn’t is time that the top brass at the House of Tatas did some introspection to know whether they still follow the glorious tradition set by Jamsetji Tata and JRD? I believe that it is long overdue. Most people here are indicating a degeneration of values in the Tata Group in the last two decades, RT has been friends with people like Sivasankaran. Some of the existing Group company CEOs too are perceived to have very poor ethics by the public. Will Cyrus purge these people and restore the Group values and ethics ? I am shocked to learn the death of Charu. Waiting with all friends of Charu to hear from Tatas on what they have got to say. Charu soul may rest in peace and May god give strength to his family at this point of time in their life. I have a serious doubt on the Positive True & Clean outcome of this case. The Culprits has to be brought infront of the nation and shall be granted highest punishment. I am sure, cases like this are common in today’s corporate world. Need a strong, committed policy / guidelines from Government to tackel such cases and moniter the CORPORATE WORLD. Can someone give me the email id of Mr. Mistry? He has to clean the augean stable. Let me be very specific: Partho Sengupta and his cronies like the sala-jija duo of Sanjay Pattnaik and Mohit Das must go. Otherwise Tata Steel is doomed. In fact, very little option before Misry except to come down hard on the crooks on Tata Steel before it is too late. Are we talking about the TATAs here!? Words like MAFIA, HOUSE ARREST, PHONE TAPPING uttered by Charudatta to his close friends can hardly indicate the workings of an organisation respected by Indians. However, having a brief interaction with Charu his sensitivity, integrity and honesty and calm demeanour were quickly visible, one can be sure that these were not loosely thrown terms at a road side brawl. 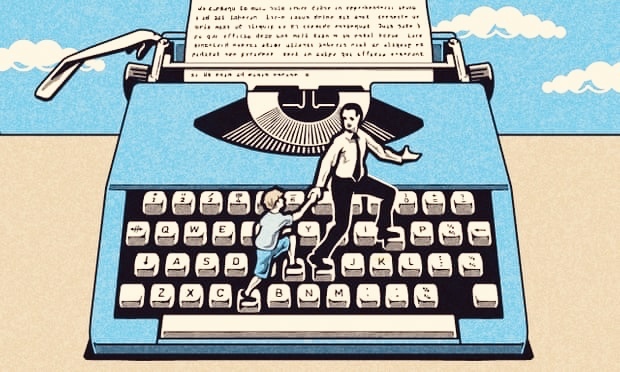 Better they employ a PR person – if they can find one to take the job! You forget that Charu was a PR person! Mr. Deshpande was an excellent human being, the reason I can say this is because I was involved in his recruitment . RIP Charu Sir. i think after this tragic incident various professionals of corporate communication or PR as we would like to call it will think twice before joining corporate houses. at the outset the top boss of the corporate house should understand what is corporate communication and all its positive and negative. just sitting at the helm of affairs does guarantee u to be the best CEO unless u stand with your second line of leaders and find out what went wrong and where to clear the air.